Best Value in Short Hills!! 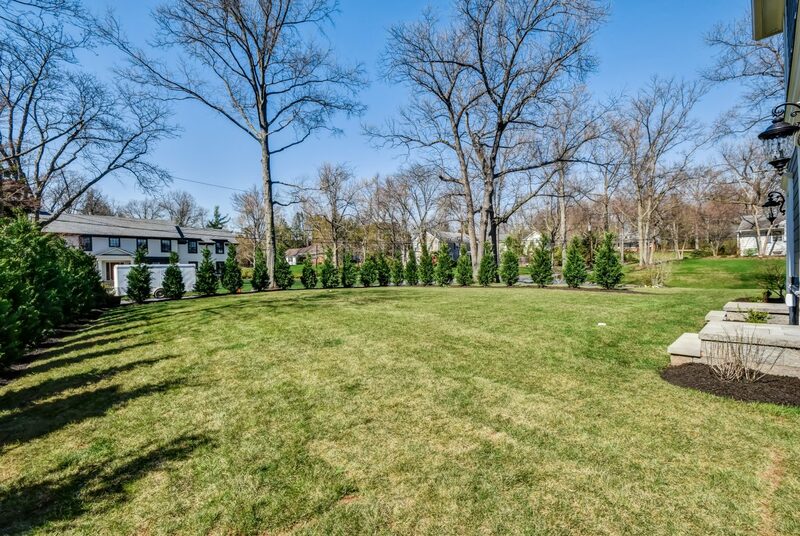 Ideal location – walking distance to the Short Hills train station (1.1 miles) & top rated Hartshorn Elementary School (just 0.4 miles!). 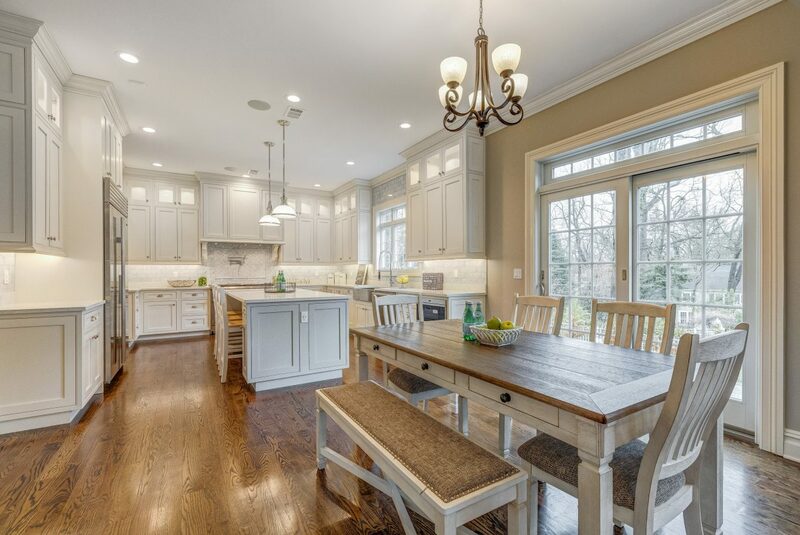 Classic Center Hall Colonial with every amenity & perfect open floor plan. 1st floor features a grand 2-story entrance hall, 10′ ceilings, a stunning kitchen with custom inset cabinets, and Wolf, Miele, Sub-Zero appliances as well as Italian Carrara marble, totally open to the family room with coffered ceiling & gas fireplace, living room & dining room with LED lighted tray ceiling, office & bedroom suite. 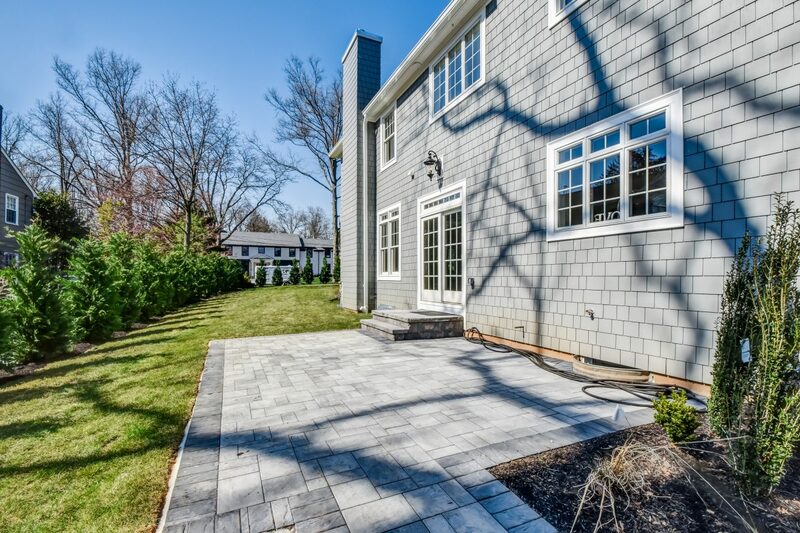 2nd floor has luxurious master suite with walk-in closet & spa-like master bath with soaking tub & shower, spacious en suite bedrooms, wet bar & laundry room. 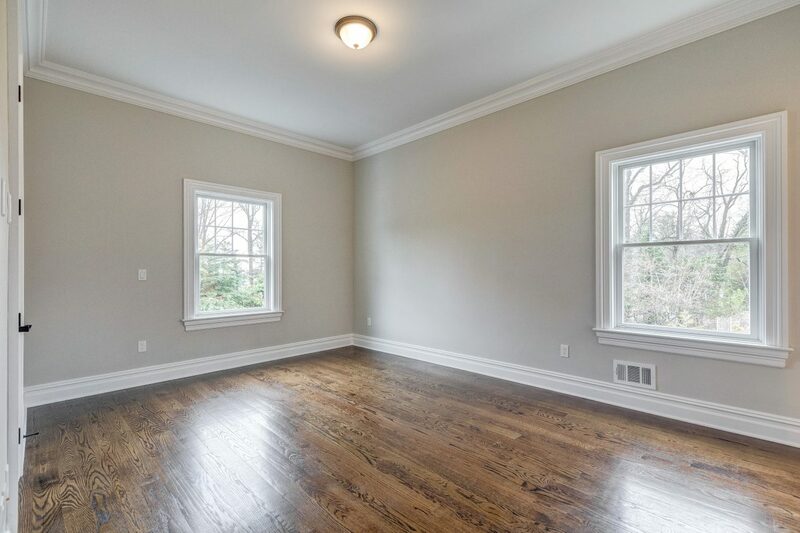 Private 3rd floor bedroom with beautiful full bath & closet. 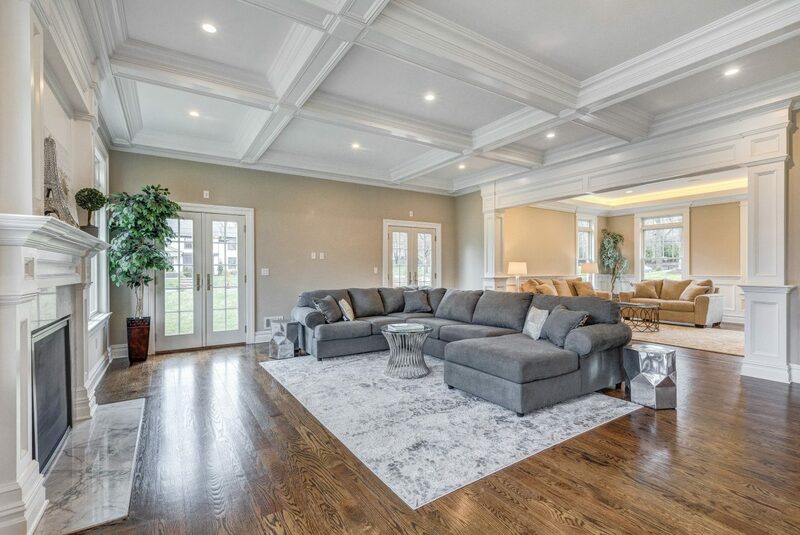 Finished 10′ ceiling lower level with recreation room, bedroom suite, exercise room & mudroom. 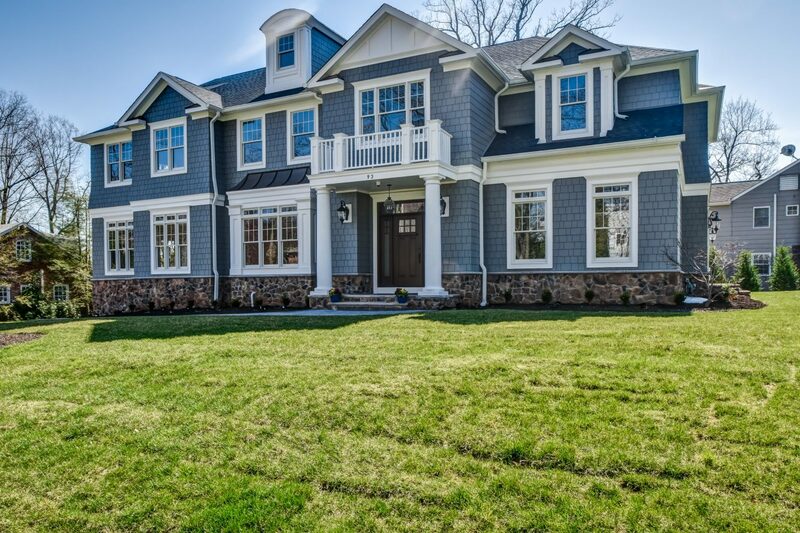 This amazing home also features smart home technology such as 4 Megapixel security cameras, smart front door lock. 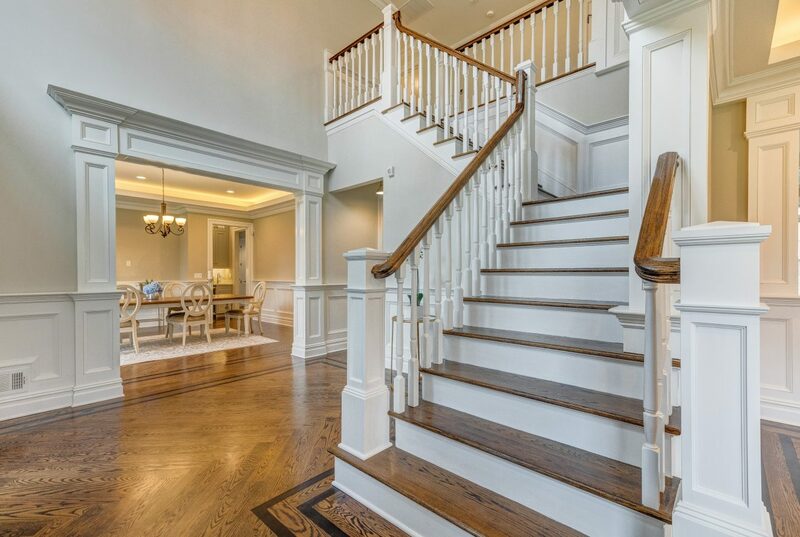 2-Story Grand Entrance Hall: with 19’ ceilings and chandelier, 2 coat closets, hardwood floors with walnut inlay, beautiful recessed panel moldings. 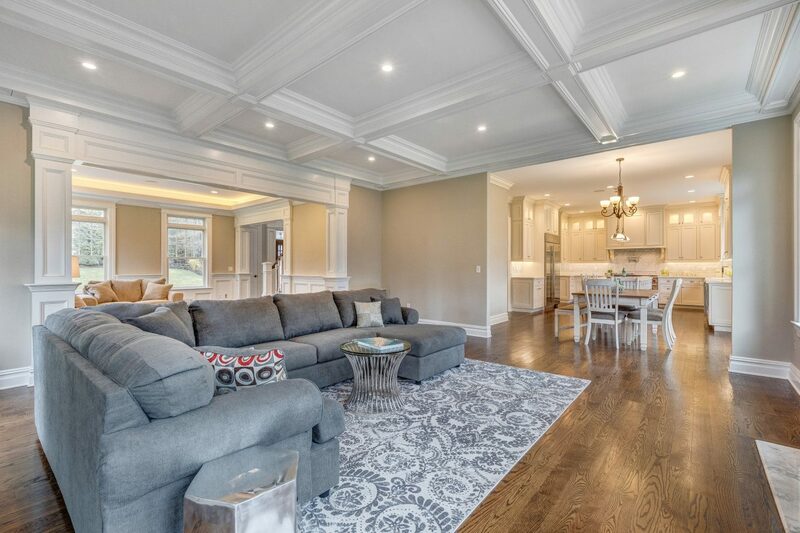 Living Room: tray ceiling with lighting, recessed lights, wired for sound system, 3 windows with transoms above, beautiful recessed panel moldings. 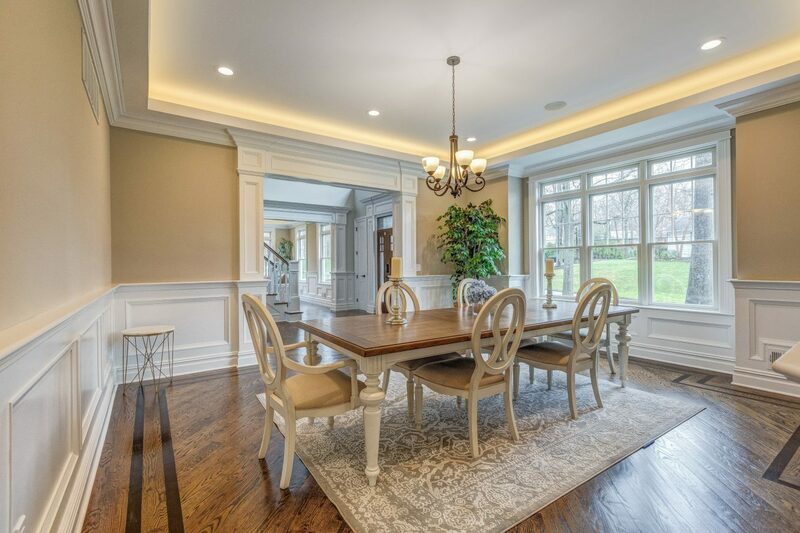 Dining Room: tray ceiling & chandelier, recessed lights, wired for sound system, beautiful recessed panel moldings, 3 windows with transoms above, hardwood floors with walnut inlay. 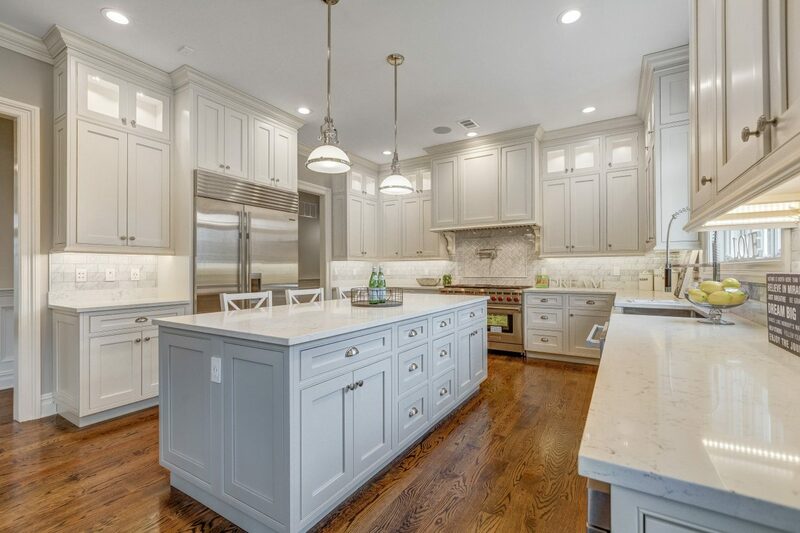 Butler’s Pantry: wet bar with quartz countertops, Marvel wine refrigerator, cabinetry – some with glass doors. Gourmet Eat-in Kitchen: center island with quartz countertops and 2 light fixtures, Wolf 6 burner range with griddle, pot filler and Professional Exhaust, custom cabinetry – some with glass doors, stainless steel Farmhouse sink with insinkerator, with top of the line Dornbracht Professional Single-Lever Mixer faucet used by professional chefs, Miele dishwasher, Wolf microwave, Subzero side by side refrigerator/freezer with ice and water dispenser, wired for sound system, recessed lights, Italian Carrara subway marble backsplash all the way to the ceiling, walk-in pantry, 3 windows with transoms above, chandelier over eating area and sliders with transoms open to the patio & property. 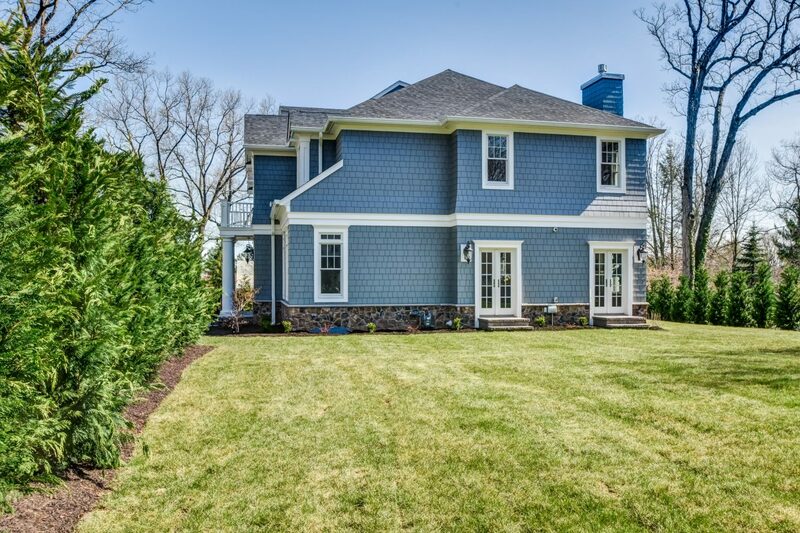 Totally open to the Family Room: coffered ceiling, low voltage lighting, gas fireplace, flanked by 4 windows with transoms above, 2 sets of french doors open to totally level property, wired for flat screen TV. Powder Room: mirror and light fixture over pedestal sink with Grohe faucet, Kohler commode, tile floor. In-law Suite: closet, 2 windows, hardwood floors. 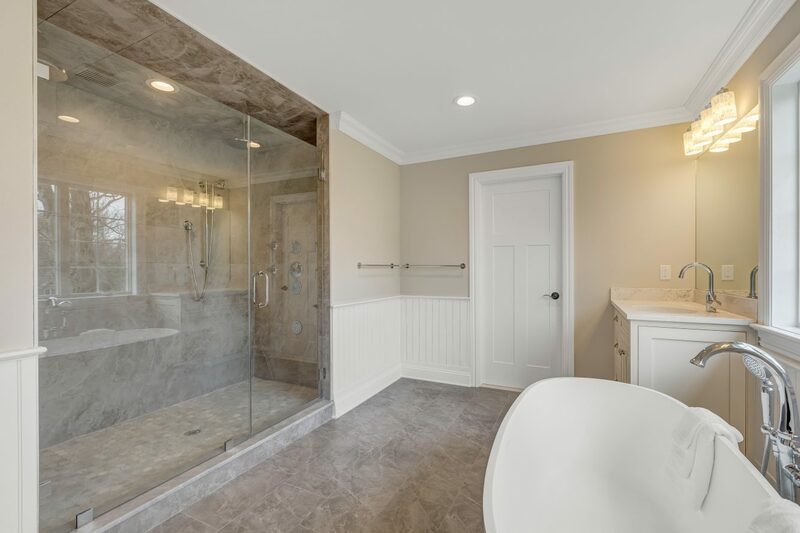 En Suite Bath: shower over tub, Kohler commode, mirror and light fixture over sink with Grohe faucet set in custom vanity, window. 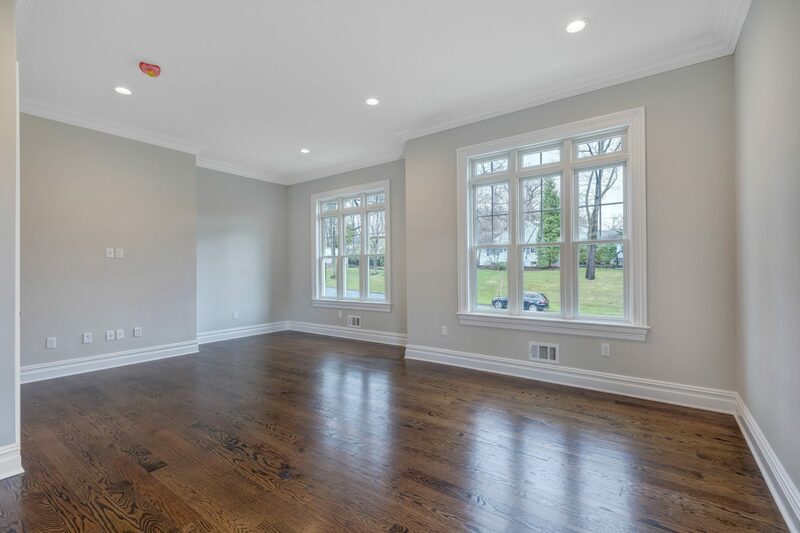 Office: 7 windows, 6 with transoms, wired for flat screen TV, hardwood floors. 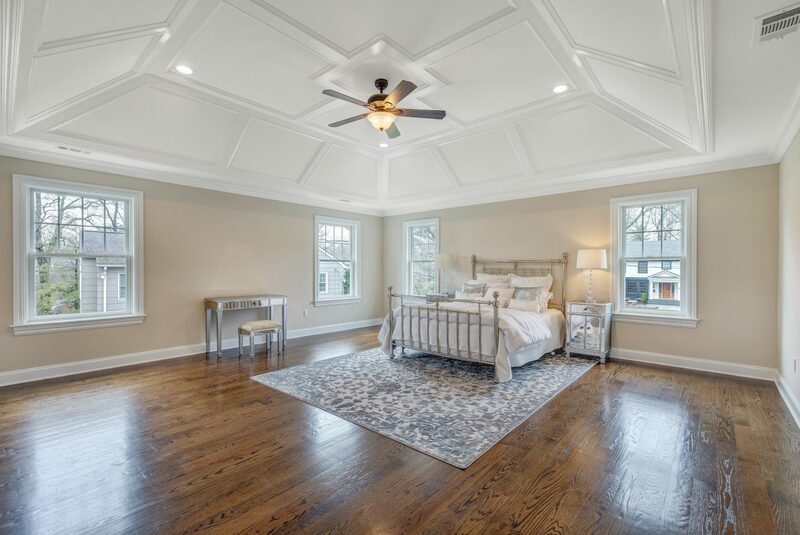 Double doors open to Luxurious Master Bedroom: with 10’ high tray ceilings with ceiling fan, hardwood floors, 4 windows, wired for flat screen TV, huge walk-in closet. Spa-like Master Bath: soaking tub, double shower with dual Rainforest shower heads, multiple body sprays and seat, tile floor, mirror and light fixture above 2 sinks with Grohe faucet set in quartz countertop over custom vanities, Kohler commode, 4 windows, wainscoting on walls, 2 additional closets, linen closet. Bedroom 2: hardwood floors, 2 windows, ceiling fixture, 2 double closets, wired for flat screen TV. 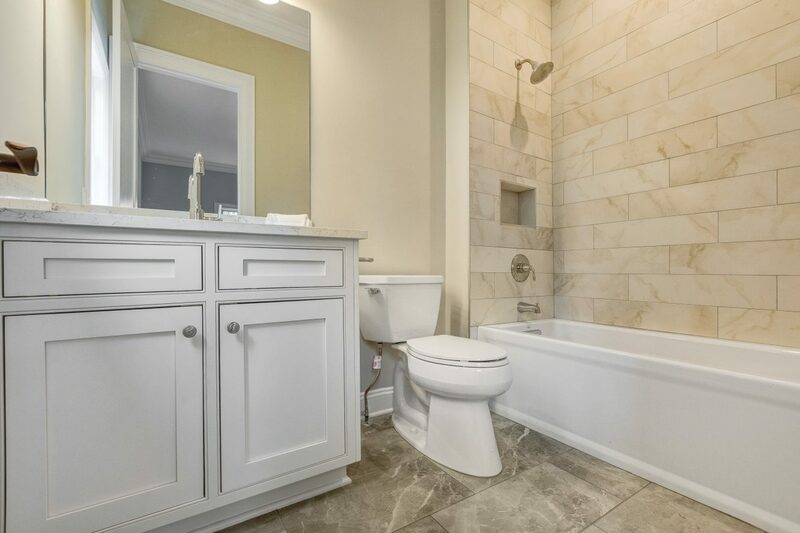 En Suite Bath: shower stall, Kohler commode, mirror and light fixture over sink with Grohe faucet set in quartz countertop over vanity. Bedroom 3: hardwood floors, 5 windows, ceiling fixture, closet, wired for flat screen TV. 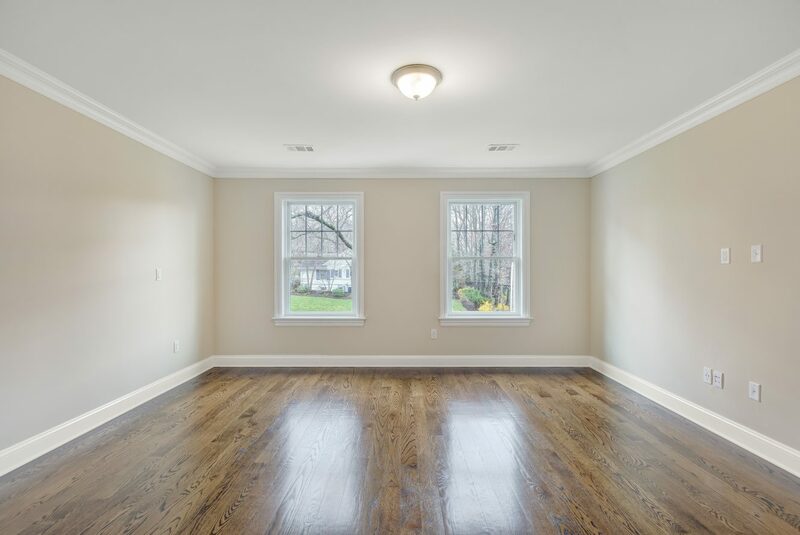 Bedroom 4: hardwood floors, 2 windows, walk-in custom closet. 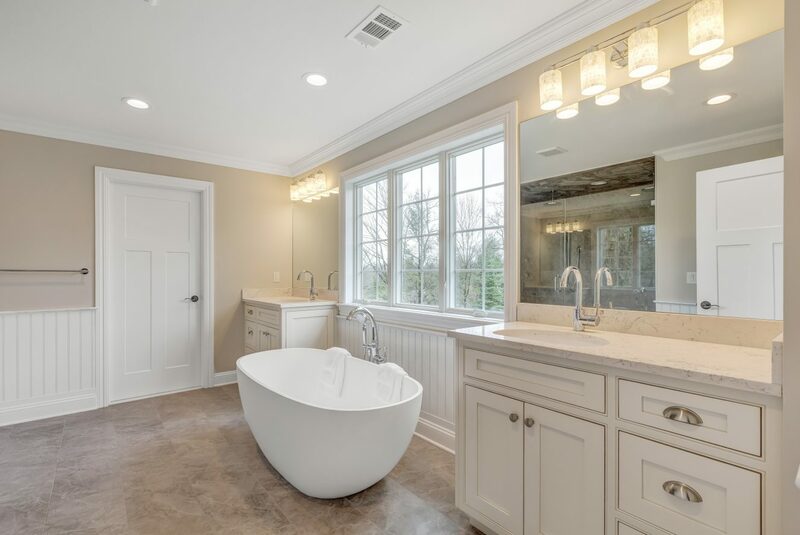 En Suite Bath: porcelain tile floor, light fixture and mirror over sink with Grohe faucet set in quartz countertop over custom vanity, ceiling fixture, window, shower over tub, Kohler commode. 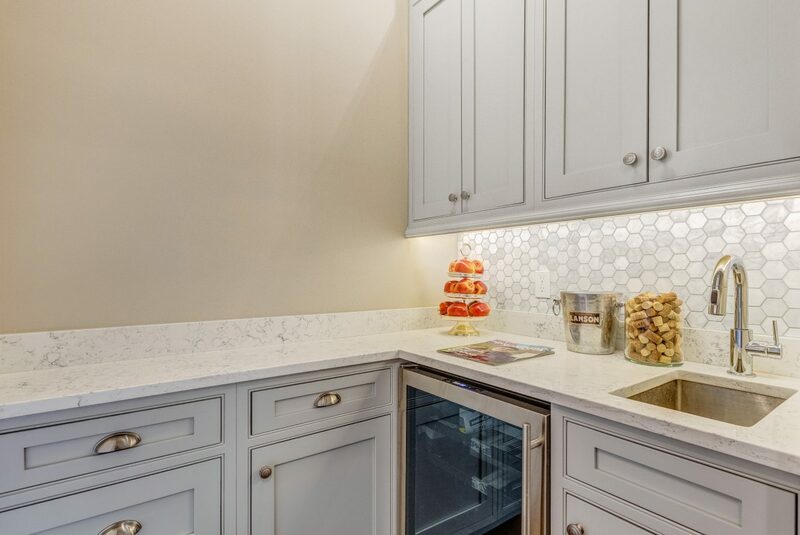 Wet bar: sink, Marvel wine refrigerator, custom cabinetry. 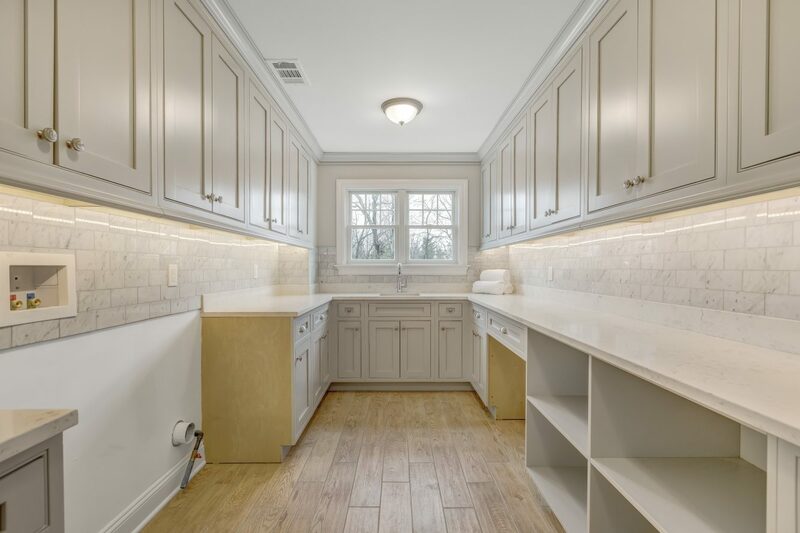 Laundry Room: tile floor, stainless steel sink set in quartz countertop, Italian Carrara marble subway tile, custom cabinetry, Seller Provides Washer & Dryer – Buyer may choose. Bedroom 6: carpet, 3 windows, window seat, closet, access to attic. 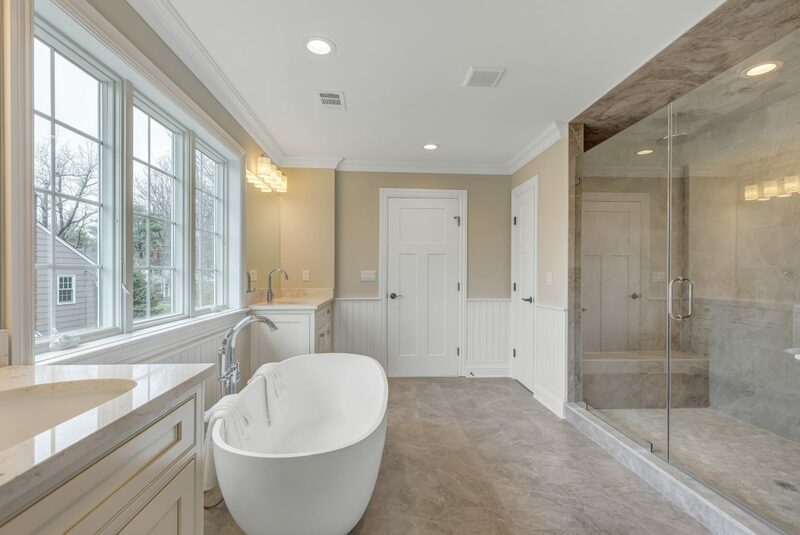 En Suite Bath: mirror and light fixture over sink with Grohe faucet set in quartz countertop over custom vanity, porcelain tile floor, shower over tub. 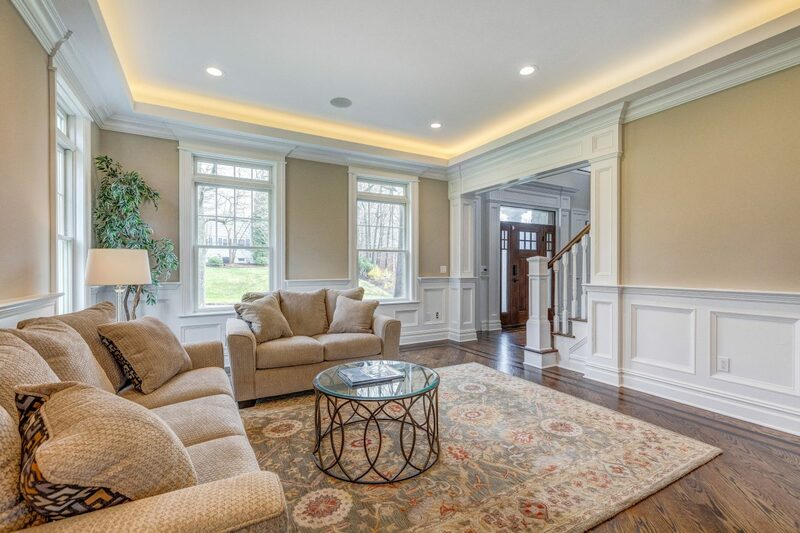 Nanny’s Suite: carpet, window, closet, ceiling fixture. 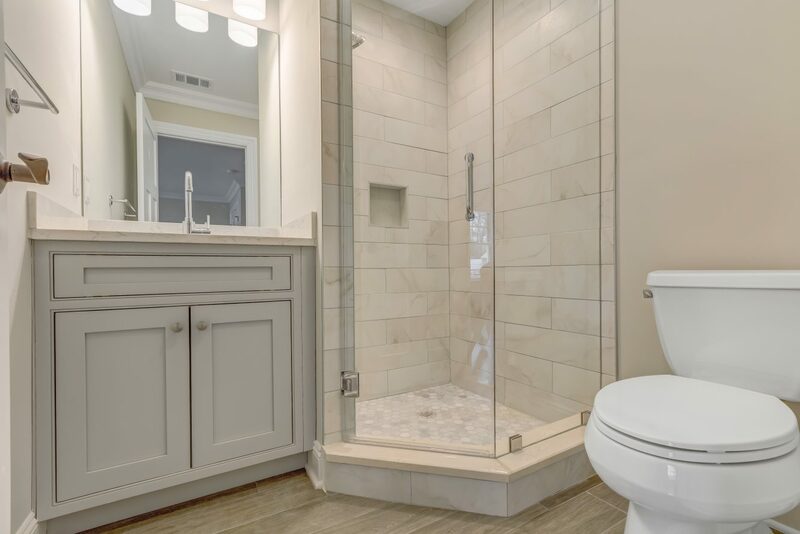 En Suite Bath: shower stall, Kohler commode, light fixture and mirror over sink with Grohe faucet set in quartz countertop over custom vanity. 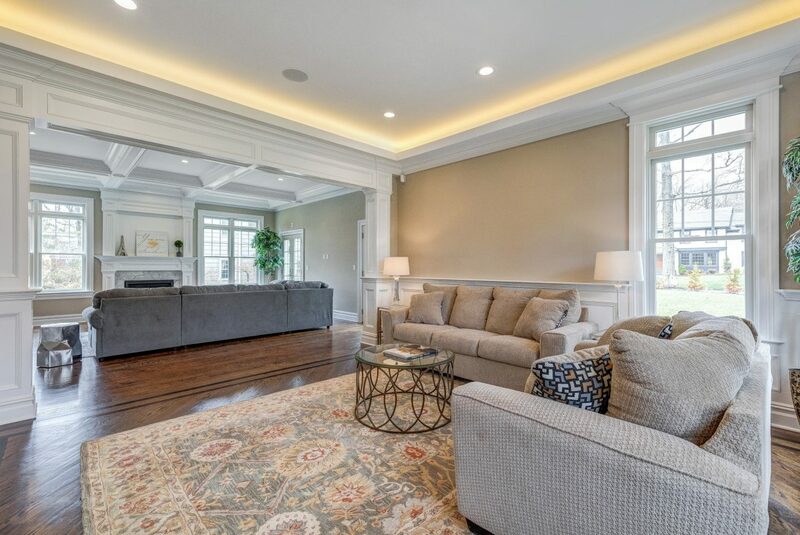 Recreation Room: carpet, double closet, recessed lights. Exercise Room: wired for flat screen TV, carpet, recessed lights.